Our annual CCLD Friends Summer Concert Series got underway last month on the Elmira Promenade, outside the Steele Memorial Library. There will be two more concerts this month--RAIN or SHINE. Concerts will begin at 7:00pm and are free and open to all ages. Bring your family, friends and comfortable chairs. If it rains, concerts will be held in the library. These concerts are made possible through a generous contribution from the Friends of the Chemung County Library District. Steele - Mondays, by appointment, limited to 2 students per session. Horseheads - Tuesdays, 7:00-7:45pm - Informal Q&A sessions, limited to 2 students per session. To schedule a training session for one of our certification classes (see below), please call 607-733-8609 during the Tinker Lab's open hours, or E-mail us at: labcentral@stls.org. Become certified in the use of the 3D printers at the Steele Memorial Library MakerSpace. Completion of the certification process will allow you to use the 3D printers independently. Anyone under the age of 16 will be supervised in the use of the 3D printer. Stop by the Tinker Lab to take a class or use the lab equipment independently anytime the lab is open. 3D Print of the Month: Hand of the King decoration. One free per patron, $0.25 for each additional print. We have two art workshops, led by artist Wynn Yarrow, this month! In the first class on August 14, students will create a myriorama by drawing and coloring a series of small landscape scenes which fit together in many alternate positions (it's like a puzzle with no wrong answers). The following week on August 21, we will be creating and decorating an origami box, suitable for holding the myriorama created in the previous workshop (learn simpler-than-it-looks pattern-building secrets). These workshops are suitable for adults and teens. Please call 733-9175 to sign up. These classes are part of our ongoing "Art Journey 2017" series (workshops in the fine arts for the armchair adventurer, with Wynn Yarrow). Look for the next class on October 5th. This project is made possible, in part, with public funds from NYSCA’s Decentralization Program, administered regionally by The ARTS Council of the Southern Finger Lakes. All teen programs are for ages 12-18. Tuesday Teen Nights return in late August! Teens: Got ideas for new teen programs? 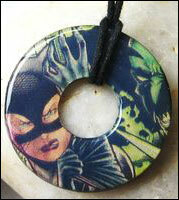 Stop by TAG meetings or email Doris Jean, teen librarian (metzgerd@stls.org). We will have "book crafts" at our Teen Summer Reading Party on August 2nd at 2pm. Make book safes, jewelry, and more from vintage books. Bring your own book or use some of ours. Note that, starting in September, our Teen Writers' Group will start meeting at 5:30pm (instead of 6:30pm). Register for programs by calling 733-9175. Questions? See our Events Calendar for details about programs. Kids, your chance to record reading minutes for the Summer Reading Club ends on August 7. All kids who have recorded reading minutes will get their special invitation to our fun Eldridge Park Party with games, rides, ice cream and even more prizes!!! Thanks to the Friends of CCLD for funding this great event for kids and rewarding them for their reading efforts. Thursday, August 3, 3pm - Build-a-palooza...a whole lot of building fun! Monday, August 7, 7pm - Theatre Camp Performance of an original spin on “The Three Little Pigs” Fun for the whole family to watch our tween/teen actors on stage! Mondays, 2pm - Building Days, Join us each week for building with Legos and more! The Summer Reading Club is winding down, and there is only one program left. On Tuesday, August 1, Moreland the Magician is coming back to astound us with magic to Build a Better World; the magic show starts at 6:00pm. If you have registered online for the Kids' Summer Reading Club and have logged some reading minutes, you will get an invitation to our end of reading club party at Eldridge Park; rides, prizes, ice cream and more will be there just for you, as long as you have participated. On August 25, the Big Flats Library Advocates will be holding an outdoor concert at the Big Flats Library. 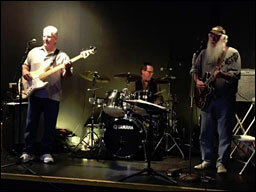 Bring your lawn chair and come and enjoy the sounds of Three Finger Leroy. The band will be performing under the new Big Flats Library pavilion and concert goers can enjoy a relaxing time on the lawn. Snow cones and popcorn will be available from the Big Flats Library Advocates. Join the Bookmobile for a fun-filled time of activities, temporary tattoos, drawings and prizes at Strong Kids Safe Kids on August 19th. The End of the SRC Party & Book Discussion will take place at Steele Memorial on August 8th at 2pm. Join Steele and Bookmobile staff for music, refreshments, and a book discussion. We are reading "News of the World" by Paulette Jiles this summer to be discussed at the party. Summer Reading Club grand prize winners from Steele and Bookmobile will be announced. Register today and log books to be eligible for the tablet drawing. Our regular book club meets the 2nd Friday of the month at the Bulkhead stop in Southport at 1:30pm. We will be discussing "You Will Know Me" by Megan Abbott on September 8th. 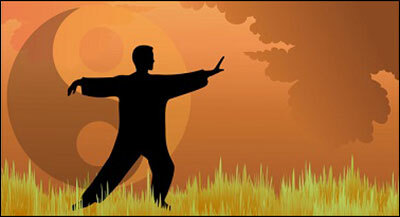 In August at Horseheads, We have another four-week series of T'ai Chi classes. We also continue the Feldenkrais series focusing on The Mystery of Pain - How, Why, What, When. Also, sign up to learn all about your tablet or smartphone! Registration is required for all programs. Call 739-4581 to register. 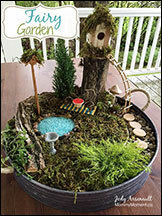 Join us for a 2-part fairy garden program. On August 16th we’ll start construction on a fairy house; on August 23rd we’ll complete construction and plant a fairy garden to place your house in. Look for our fairy program once a month (the 3rd Wednesday of the month) from September through December to craft additional fairy garden accessories. Join us for the end of Summer Reading Club Field Day at the Van Etten Library. This event will be on Wednesday, August 2nd from 3:00-5:00. This is an exciting event; the field day will include an inflatable bounce house and inflatable water slip and slide as well as games and prizes! Join us for this fun final event at Van Etten, see you there rain or shine!! August 23, 3:30pm - Pokémon Perl bead designs. Create your favorite Pokémon using Perl beads! August 30, 3:30pm - Back to school arts and crafts projects. Join us on the 21st to view the rare Solar Eclipse. We will be showing the Live NASA TV Broadcast from 1p-4p with a special program and viewing (glasses provided) from 2:15pm- 3:15pm. West Elmira now carries a small selection of Music CDs. We have also started a Puzzle Exchange. Come in and take a puzzle or two, or donate some you've already completed!